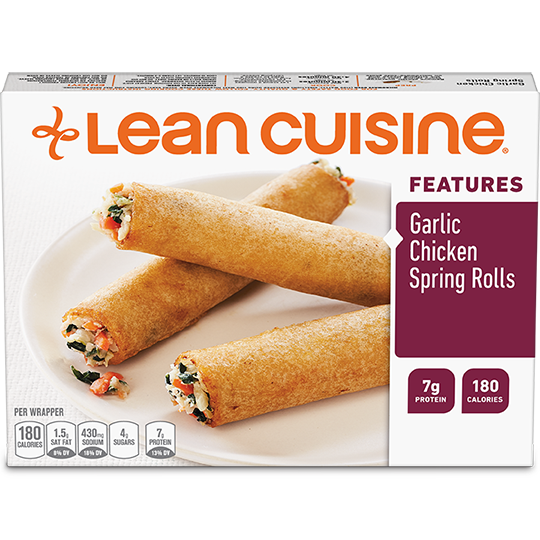 This dish is downright delicious. 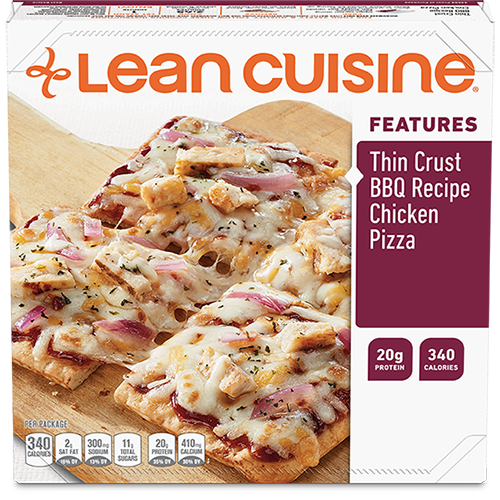 Tender white meat chicken, red onions, tangy BBQ sauce and creamy mozzarella and cheddar cheeses on a crispy thin pizza crust. 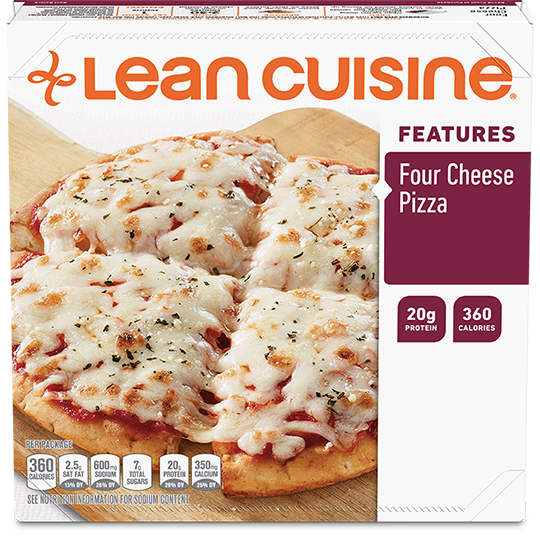 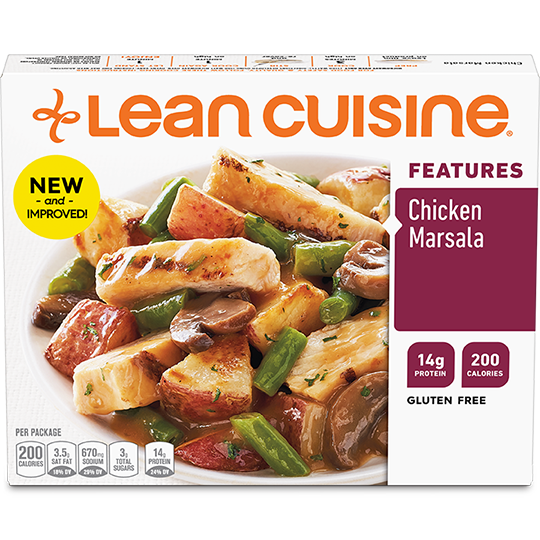 Feed your phenomenal with Thin Crust BBQ Recipe Chicken Pizza from Lean Cuisine. 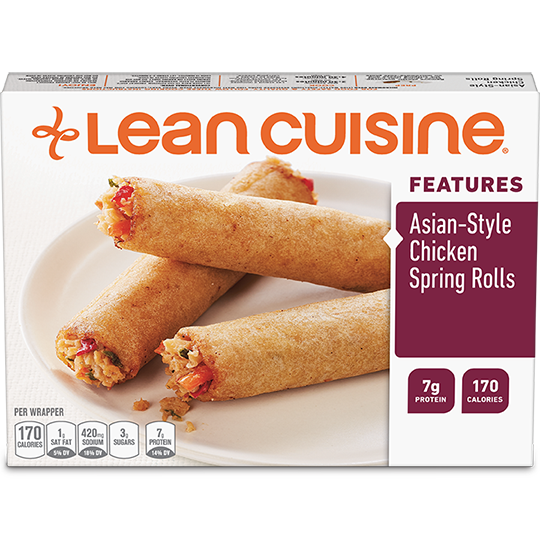 enriched flour (wheat flour, niacin, reduced iron, thiamine mononitrate, riboflavin, folic acid), water, cooked white meat chicken (white meat chicken, water, seasoning (salt, flavorings, maltodextrin, modified food starch, sugar, yeast extract, smoke flavor, spices, caramel color, citric acid), isolated soy protein, modified rice starch, chicken flavor (dried chicken broth, chicken powder, natural flavor), sodium phosphate), reduced fat mozzarella cheese (cultured milk and non-fat milk, modified corn starch*, salt, vitamin a palmitate, enzyme (*ingredient not in regular mozzarella cheese)), red onions, light pasteurized process cheddar cheese (cultured milk, water, potassium citrate, salt, sodium citrate, whey*, sorbic acid, cream, apo carotenal and beta carotene color, enzymes, sodium phosphate, lactic acid (*ingredient not in regular pasteurized process cheddar cheese)), tomato paste, seasoning (brown sugar, molasses (refinery syrup, cane mill molasses}, modified cornstarch, potassium chloride, caramel color, spices, dried onion, dried garlic, smoke flavor, salt, natural flavorings), vinegar, 2% or less of soybean oil, sugar, yeast, olive oil, salt, natural flavor, cilantro, seasoning (natural flavorings, maltodextrin, yeast autolyzate, dextrin).